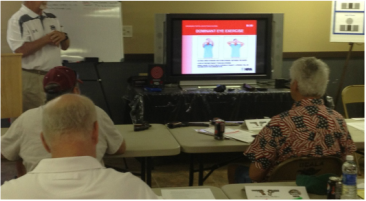 The Villages Straight Shooters club's major priorities are Gun Safety, Firearms Education, and Marksmanship. Consistent with those priorities the club has and intends to provide basic and ongoing formal education opportunities for members and individuals in the Villages community. The club is also proactive in providing many related instructional opportunities at Member Meetings, Educational Seminars, and on the Range.